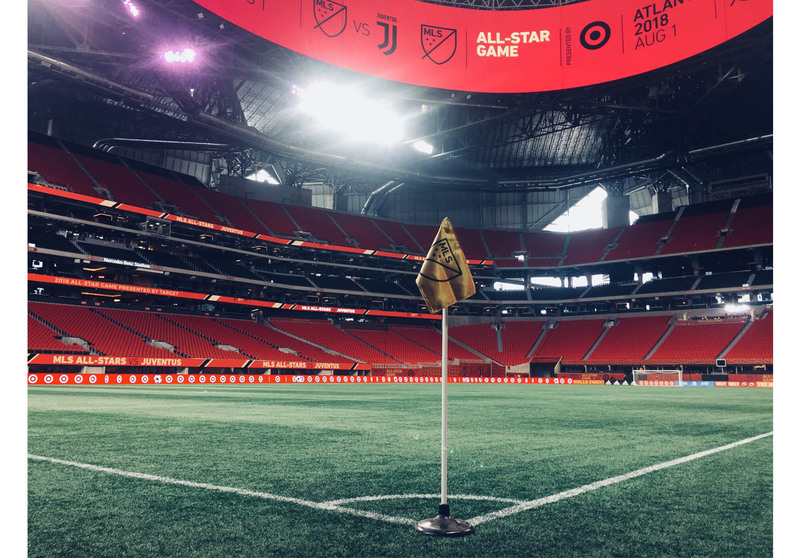 It comes as no surprise that Atlanta breaks the MLS All-Star Game attendance record, the official number of 72,317 echoing around the packed Mercedes-Benz Stadium. A year and a half after launching MLS’s latest expansion franchise, the city is getting used to smashing records: Atlanta United have not only set the top five MLS single-match attendance records, but their average of over 50,000 fans a game is higher than any MLB, NBA or NHL team. “[Our attendance] puts us 15th in the world—think about that in terms of global soccer clubs,” says Darren Eales, Atlanta United’s president, who recently picked up the MLS Executive of the Year award. 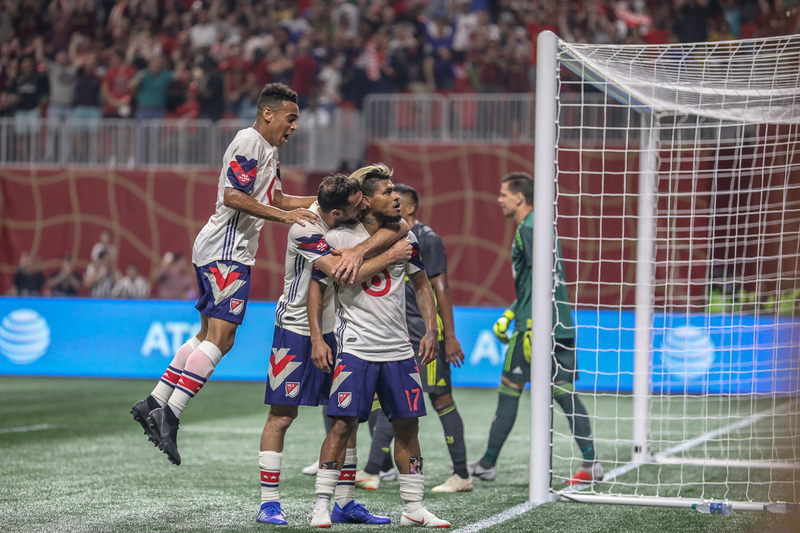 Indeed, after less than two years of existence, Atlanta attracts more fans than European megaclubs Paris Saint-Germain, Chelsea, and Juventus, who scrape past the MLS All-Stars on penalties after a worthy performance from the league’s finest. 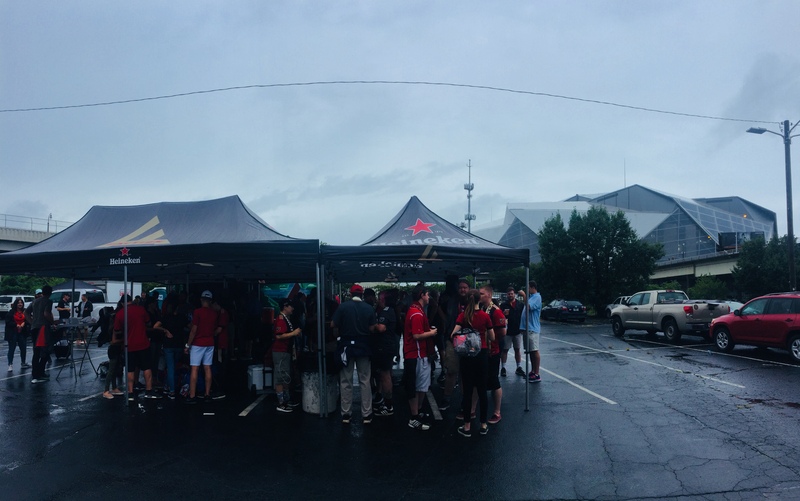 Four hours earlier, Atlanta’s core base of soccer fans, a supporters group called Terminus Legion, gathers in “the Gulch” despite a day of steady downpour. The glorified parking lot lies in the shadow of the Benz, a fortress of interlocking, geometric metal panels that is as beautiful as it is intimidating. Long can barely contain his excitement as he chronicles the “insane” ritual of a typical Atlanta United matchday. 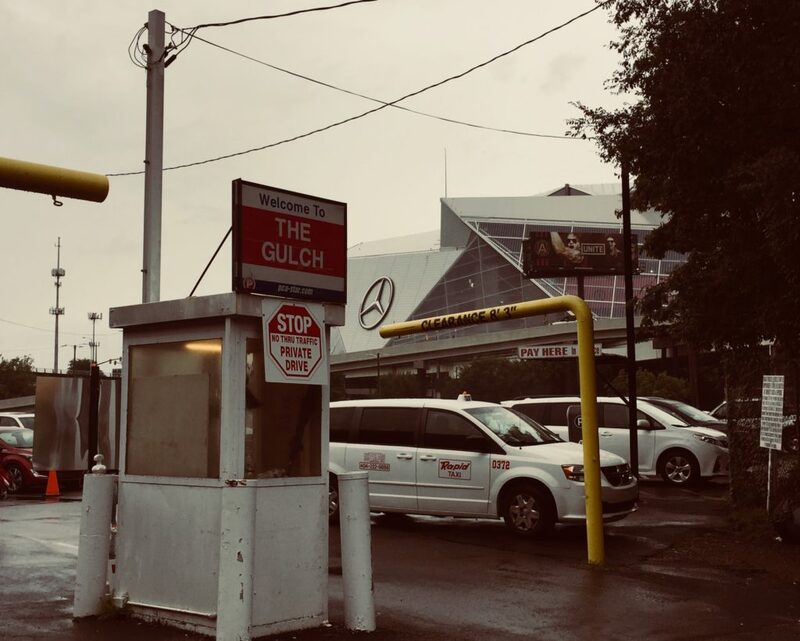 Naturally, it begins with a $10 all-you-can-drink tailgate in the Gulch, featuring an endless list of rotating food, beverage, and beer pong—yes, beer pong—sponsors. Superfans with different personas roam from tent to tent: Santa United passes out Atlanta United swag from a bag slung over his shoulder, the Reverend is an actual reverend (Long says he “has to double check that”), and the Pope marches around in a mock miter, carrying a trusty Atlanta United staff. It all started in 2014, when Atlanta Falcons owner and Home Depot co-founder Arthur Blank won his bid to bring an MLS team to Georgia’s capital. He soon astutely assembled a backroom staff, appointing former United States Men’s National Team captain Carlos Bocanegra as Technical Director, and luring Eales from his role as a Director of Football Administration at Tottenham Hotspur. The trio wasted no time. Years before Atlanta United kicked a ball, they concentrated their efforts on “avid fans,” as Eales calls them, a group of 10,000 supporters who registered interest in the club before anyone else. That’s not to say Atlanta United didn’t do any marketing of their own. The club engaged with the city’s community from the get-go—Atlanta United Football Club was a name decided by fans through online polling. Meet-and-greets, parades, and viewing parties followed, as Blank’s team went above and beyond to make fans feel like part of the club before it even had a player. Atlanta United hasn’t just succeeded off the pitch—they happen to be quite good at football, too. In their first-ever campaign, the Five Stripes finished with the fifth-best goal difference in MLS history, Eales proudly affirms, and this season they sit at the top of the Eastern Conference after 23 games. 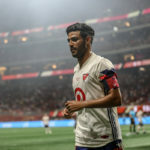 In fact, this year’s MLS All-Stars team contains no less than five Atlanta United players—more than any other club—as well as the club’s manager, legendary Argentine coach Gerardo ‘Tata’ Martino. It was Josef Martinez, the Venezuelan forward who leads the league in scoring, who notched the All-Stars’ equalizer against Juventus. Martinez embodies an Atlanta recruitment strategy that differs drastically from the rest of the league. Generally, MLS clubs use designated player slots for superstars in the twilight of their careers—starting with L.A. Galaxy’s groundbreaking acquisition of a 32-year-old English darling back in 2007. Signing recognized, household names is a surefire way to boost ticket and jersey sales while elevating a club’s global profile—when a bona fide legend like David Beckham swaps Real Madrid for L.A. Galaxy, the world notices. But the “Beckham way” is a double-edged sword. 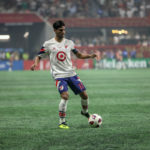 While the MLS grows in stature with every Thierry Henry, Zlatan Ibrahimovic, and Wayne Rooney that graces American soil, it also fortifies its reputation as a “retirement league.” People see the MLS as a place where Europe’s elite can experience the land of the free, become the face of a franchise, and pick up one last paycheck before hanging up their boots. It works in the short term, but is it what the MLS wants to be forever? In Atlanta, Eales and the rest of the backroom staff have turned this strategy on its head. Instead of signing renowned players in their final years, they have identified young, promising, relatively unknown entities who bring exciting potential rather than established prestige. Martinez is a prime example—when signed from Torino F.C. at 23 years of age, he had scored less than 20 league goals in his entire career. After a season and a half with Atlanta United, he’s tripled that tally. Atlanta’s strategy is both ambitious and realistic. The MLS simply doesn’t have the cachet and financial muscle of the Premier League or La Liga, but it can grow by becoming a stepping stone for elite players rather than a retirement home. Standing in the concrete corridors of a stadium that just hosted one of the greatest All-Star spectacles in recent memory, Eales is compelling in his credo. If it works for Atlanta, it might just work for America, too. Matthew Celentano is a journalism student born and raised in New York City. He has a soft spot for Mario Balotelli and his drug of choice is a Mesut Özil through ball. Follow him on Twitter @MattCelly for grumblings about Arsenal’s defending.